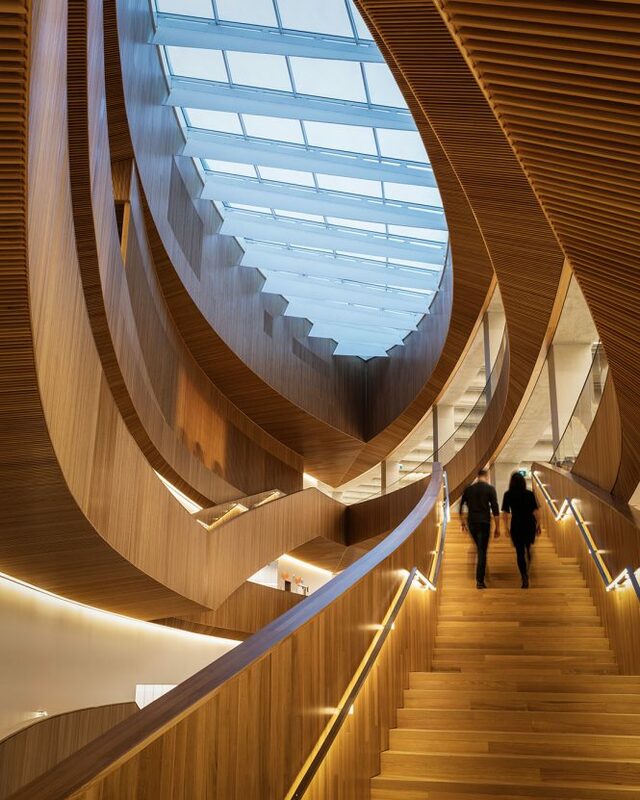 The sky-lighted atrium in Alberta’s Calgary Central Library. Danish architecture firm Schmidt Hammer Lassen teamed up with local company Architectus to design this Christchurch library as the latest symbol of the city’s post-quake rebirth. 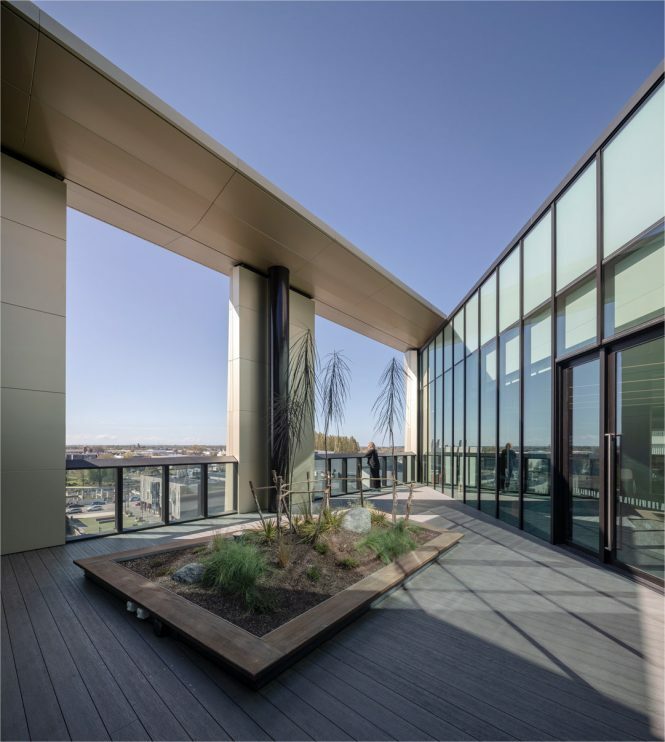 The building’s golden aluminum facade recalls the triangular blades of native harakeke flax and the topography of the nearby Port Hills, while roof terraces point toward significant Maori sites. On the ground floor, a seven-meter touchscreen wall offers insights into local history; the upper stories hold 180,000 books, a 200-seat community hall, and two studios for music and video production. The medieval Flemish city of Aalst—where Thomas More’s Utopia was first published in 1516—now hosts a unique cultural institution that subtly balances old and new. Rotterdam-based firm Kaan Architecten has paired a 19th-century red-brick school building with a sympathetic extension faced in longer bricks made from local clay, turning the new structure to create three public squares. Inside, the original brickwork plays off exposed concrete staircases and floors, and near full-height oak bookshelves appear to support the library itself. This diamond-shaped monolith by global design heavyweights OMA welcomed its first visitors last April. 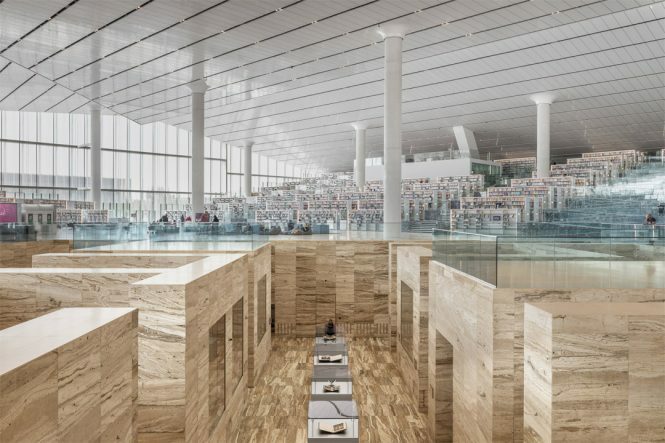 Corrugated glass walls and a reflective aluminum ceiling filter and diffuse the bright desert sun to create optimal light for reading, and its vast open-plan interior—measuring in at 42,000 square meters—features tiers of marble bookcases arranged around a central space. Styled as an archaeological dig, a sunken heritage section in travertine marble contains some of Qatar’s most important texts and manuscripts on Arab-Islamic civilization. This article originally appeared in the February/March 2019 print issue of DestinAsian magazine (“By The Books”).